I read this book as part of a book club, and I was the only member who wasn't thoroughly impressed. I know I go against the grain (and Oprah). My explanation for my difference of opinion is this: most people (in my book club, at least) don't contemplate the realities of post-apocalyptic life on a regular basis, but I do. So for most people, this book was eye-opening and touching. For me, it was only dark, stark, and depressing. There were saving graces, so I didn't absolutely hate it, of course. The father-son relationship was one of them. So I recommend this book to those who don't normally fantasize about what comes after the end of the world. I apologize to the members of my book club for unwittingly choosing the most depressing book ever written. I have to admit it was skillfully written to evoke such a paramount of gray emptiness and despair, and I read it in one afternoon, so that must mean it was interesting, but I can't tell you how. Perhaps this book is an important read for people who don't usually think about the dark "what if? "s of our time. 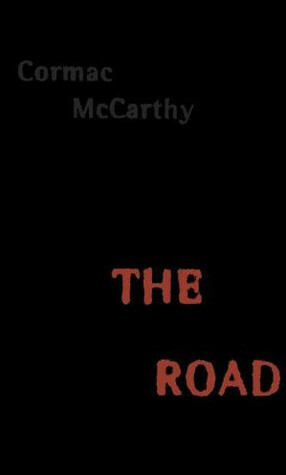 But since I do often ponder these things, McCarthy has merely provided a crystalized image of the horror conjured by my own mind, which is something I *probably* did not need to see.